Curves to Kill...: Mac Madness! Well winter has well and truly hit Melbourne and we are all on the hunt for our winter warmers! My lust list is now being filled with the most important thing any stylish girl needs for a chilly Melbourne Winter, the perfect Mac!I find the Trench Coat/Mac style of jacket to be the most flattering for an hourglass shape. So I headed to ASOS in search of mac filled goodness and shoes, because I'm addicted to shoes! Classic shape Mac in classic black! This is a sleek and sophisticated wardrobe staple. If you don't own a black mac yet order one asap! Already have a plain black mac? 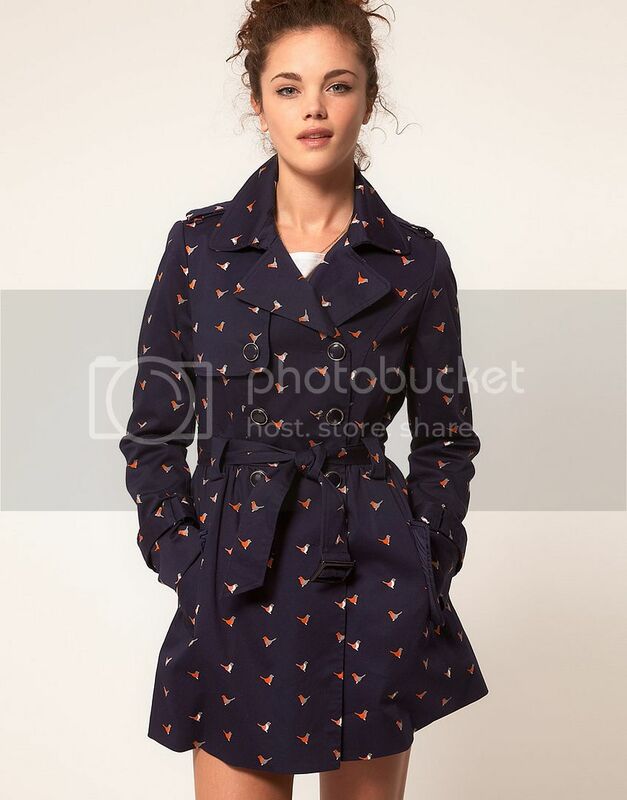 How about a printed jacket with adorable little orange and white birds? This style in the same classic shape is unique and if you are looking for something to make you stand out a little more this is the jacket. Green in colour, flirty shape and a peter pan collar - swoons! Now this is a perfect shape if you love the Mod look and I'm loving the knee high socks paired with this style. This is also a perfect colour for redheads. This is my stand out favorite, so please excuse me while I make grabby hands at screen. This is so classic and retro inspired! I've been looking at many styles recently with panels in leather but none have won me over. I'm in love with the textured boucle panel on the back, gun flaps to the chest, collar, waistband and cuffs of this jacket! I'm already making outfit and shoe choices in my head with this in mind. 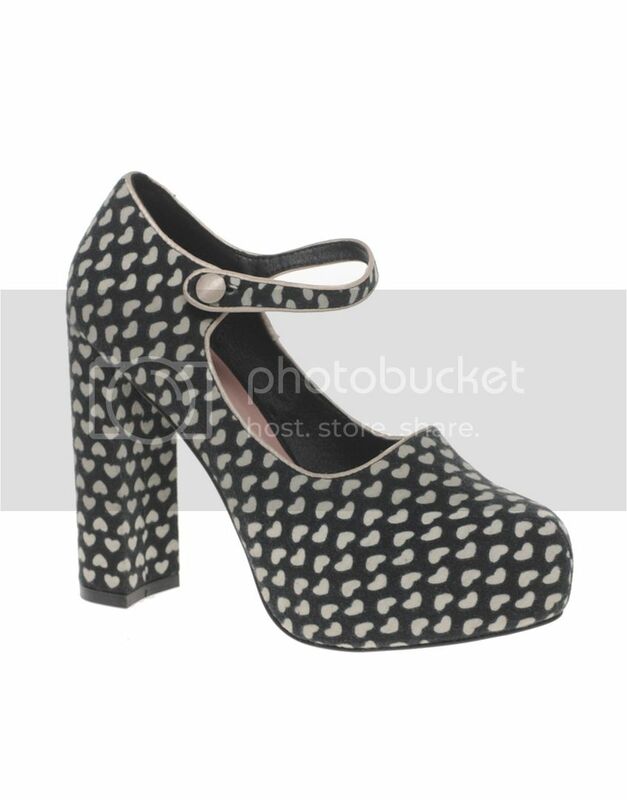 How amazing are these printed shoes? I'm looking at more interesting styles and prints in footwear at the moment to wear with simple black outfits and LBD's.